There are two ways to organize them in your space. Think about which one or a combo of the two will work for you before we begin to sort our alphas. 2) We remove the alphas from all their like embellishments and create an alpha center with everything from Chipboard - Stickers - Foam - Thicker - paper die cuts - even stamps - etc. This all depends on how you search for Alphas for your layouts. Do you know you want chipboard alphas or do you just go after the letters you need no matter what type of alpha they are? Do you like the whimsical fun look and mix your alphas on the page or do you prefer to have them all matching? Chipboard Alphas: These alphas add dimensional to the page and can be refinished to coordinate with any color or style on your LO. Sticker Alphas: These are always ready to use with minimal need for adding details. Stick and Go! Paper Die Cut Alphas: These can be purchased, punched or even cut with die cut machines. They can be embellished, made of PP or CS. Tile Alphas: These are things like scrabble tiles or any other type of block tile shape. They usually add dimension and a spirit of fun and game play to your layouts and cards. Metal Alphas: These also add dimension and the metal element to the page. Possibly some sparkle if they are shinny. These could be large or small enough to be made from brads. Cork Alphas: These are also thick and add dimension. You can embellish them if you'd like and they also add a visual texture. Ghost Letter Alphas: These are unique and quite subtle. They can be altered with inks and stamps but they allow you to see through them to see the paper layered underneath. Rub-on Alphas: It is probably wise to still store these on the original sheet and not separate them by letter but they still fall into the alpha category. Other: I am sure there are more so please share with us if I missed one. Now, As I said up above how you organize these is up to how you think when you are scrapping. Keep this in mind. Clip it up: If you could dedicate a section or an entire unit if you needed to holding your alphas. 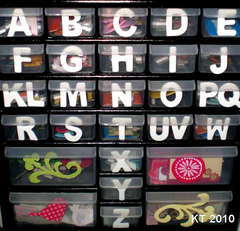 You could use ziplocs to hold the items that don't come on the sheets, sorted by letters or by type. Baseball and Pocket pages: Using a binder these could be well organized into one. Use Baseball and pocket pages to organize the loose letters and page protectors to hold things like rub-on and sticker sheets. Drawer dividers: You could also build dividers out of cardboard or chipboard and use larger drawers making smaller compartments. I hope this helps and gets you thinking about how you scrap and what will work best for you. 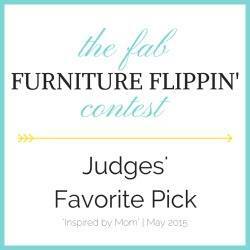 I am ahead this time on this one...have my chipboard sorted and I use a clip it up and hanging shoe organizer. Love having it all sorted. Thanks Dawn. I am glad your ahead of the game... this month is pretty intense the way I run this challenge. (there is a forum on www.scrapbook.com for it) I try hard to touch base with all the different types of supplies we paper crafters have and get it all organized with multiple ideas so that it can be completed in one month!